If I weren’t an educator, my life’s work would probably be making awesome planners. Seriously though, I love a good calendar, but what I love more is the feeling of starting my Monday with a clear schedule in my head of when and how I’ll do the things that I want to do. It’s not enough for me want to prioritize big thinking, I need to make time for it. Back in November, we wrote about the difference between surviving and thriving. When we survive, we rush through the day trying to check items off our list as we remember them. When we thrive, we think about how best to use our time (and even maybe what we have to remove from our To Do list). 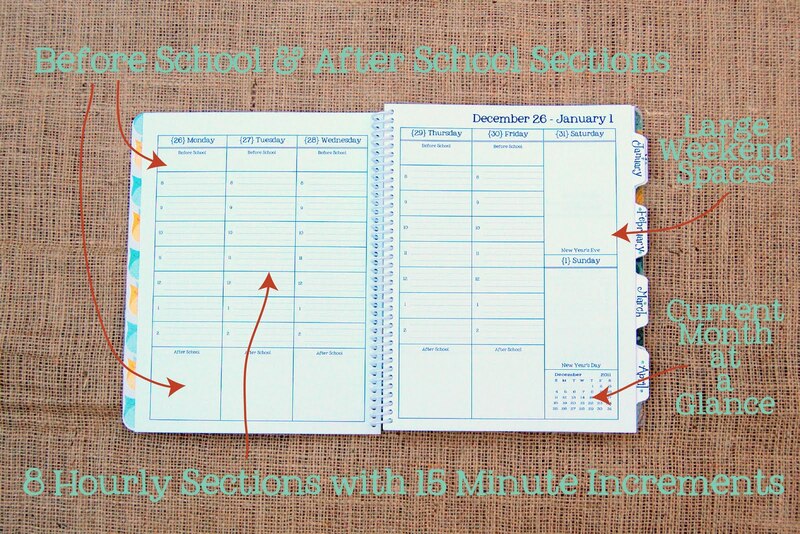 So though scheduling and calendars seem super simple, it’s easy to forgot about how important they are (even if we remind students of their power day-in-and-day-out). So how do you schedule your time? Here’s a few resources to get your organizational groove on! The Huffington Post published this outline of the perfect work day – of course it needs to be adapted for educators, but still lots of good stuff to consider. The Together Group has great organizational tools including this weekly planner available to download for free. Put a few of these weekly templates into a slim binder along with any other importantl documents and you have a pretty sweet system going. 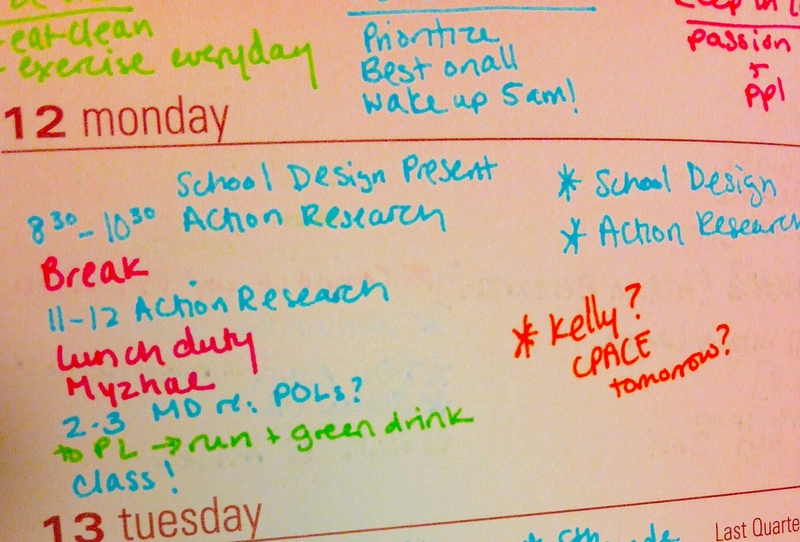 My own system has morphed into this colored weekly calendar because – let’s be honest – planning is a lot more fun when you can use different colored pens. Whatever you use, it’s all about 1) getting your priorities and goals to match how you spend your time (and sometimes it’s totally fine your priority to be a marathon of Orange is the New Black – just own it!) and 2) finding a system that works for you (something that can motivate yourself to do on a Sunday night)! Got more ideas? Share them in the comments below.